Another seven days passes us by and in doing so we've got another round of news for you all, including the first spy shots of the facelifted Lamborghini Aventador, a new limited edition BMW M4, and new car brand LYNK & CO show us their first official model! A limited edition BMW M4 has been announced. 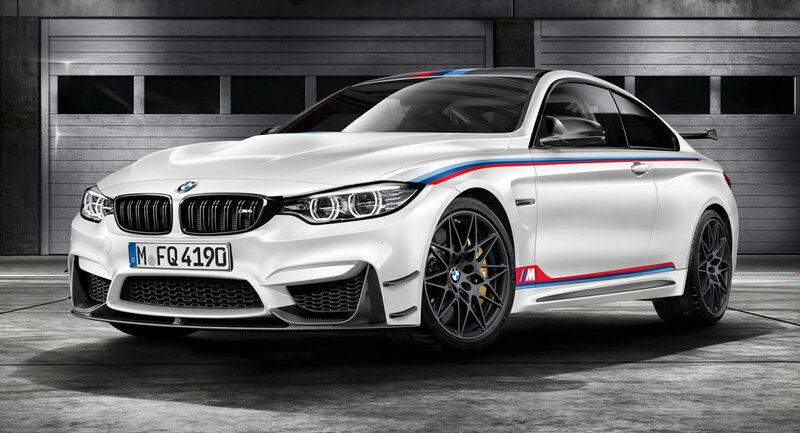 The car has been built to celebrate the success of Marco Wittmann's DTM championship win, hence its name - the BMW M4 DTM Champion Edition. Based on the brilliant M4 GTS, the DTM Champion Edition therefore has the same water-injected 3.0-litre twin-turbo straight-six engine, giving it power figures of 493 bhp, 0-62 mph in 3.8 seconds, and a top speed of 190 mph. Elsewhere the list of upgrades and modifications is endless. The roof, bonnet, rear diffuser and more are all carbon fibre, whilst the exhaust is titanium. There's also M carbon-ceramic breaks, M carbon bucket seats, a roll cage, and much more. Every model is finished in Alpine White with M4 DTM styling and will cost roughly £135,000. If you fancy one, you'd better act quickly though, as only 200 are being made. LYNK & CO have revealed a sports car concept that outlines their future plans. Most people probably won't know who LYNK & CO are, and that's because they're an all-new Swedish car brand that have only emerged this year. They recently had an event in Sweden in which they revealed two cars to the world: this sports car concept, and a near-ready production car known as the 01 SUV (more on that below). The sports car is merely a taster of the future at this stage, showing how one may look should they go on to develop it; and with futuristic styling, multi-dimensional panel work and cool Lamborghini-esque scissor doors, you'd imagine it'll be a very unique car should that day arrive. Apparently LYNK & CO have several other models to focus on in the meantime, so we look forward to seeing them come out! Swedish car manufacturer LYNK & CO have unveiled their first official car. As mentioned above, LYNK & CO are a new Swedish car brand which just launched this year, and at a recent car event they decided to bring two cars along with them: one concept, and this the 01. The 01 understandably stole the show as their first official production car, coming in with a cool, sporty, modern shape and styling that is similar to that of a Porsche, Range Rover and Volkswagen at different angles. The 01 is going to be powered by a hybrid drivetrain too, with a 1.5-litre turbo three-cylinder and 2.0-litre four-cylinder engines sourced from sister company Volvo. There aren't full details of these as of yet, but you'd estimate figures of around 150 - 250 bhp depending on the engine and tuning. The LYNK & CO 01 SUV is set to launch in late 2018, so expect full details and the final production model to emerge next year. The facelift for Lamborghini's Aventador has been spied at the Nurburgring. It's been five years since the Aventador launched, so a facelift was always likely considering the usual 10-year shelf life of Lamborghini's models. Now however, we have our first look at the car, and as you can see there looks to be a whole host of changes, with a new front bumper, front air intakes, rear diffuser, rear bumper, rear lights, and a new exhaust system too. Exterior aside, the 6.5-litre V12 under the hood is also expected to get a power increase, with estimated figures of 700-720 bhp compared to the current 690 bhp. There's also likely to be an refreshed interior, chassis and handling upgrades, and more added to the car. The price will probably remain the same at £260,000 each, with its official debut to potentially take place at the Geneva Motor Show in March. The all-new SEAT Ateca Cupra has been spotted completely undisguised. Back in May we brought you the news that SEAT are developing a Cupra version of their Ateca SUV to go alongside their Ibiza and Leon Cupra models, and now we have our first look at the car camouflage-free. Although the car is still somewhat toned down compared to what the final version is expected to be, it still shows the quad exhaust system, new alloy wheels and big Brembo brakes, suggesting that it's definitely an early version of the car. The engine at the end of those exhausts is likely to be the same 2.0-litre turbo four-cylinder engine as the Leon Cupra, meaning power figures of 280-300 bhp or more can be expected, giving it a 0-62 mph time of less than six seconds. The Ateca Cupra will launch at some point next year at an estimated price of around £35,000, so its first official reveal should occur over the next six months.